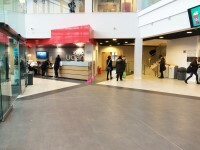 Services / facilities within the building include Art, Design and Fashion; Computing, Engineering and Science; Education; Health and Social Care; Languages; Law and Sport. 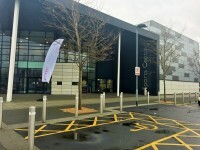 Services / facilities within the grounds include the Sports Centre. 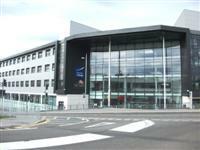 This building is shared with Burnley College. 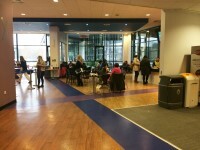 UCLan occupy levels 1-4 of C Wing. 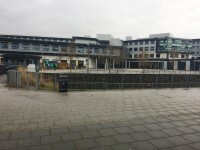 You are on Opening Times (Sports Centre). Skip to the next section. 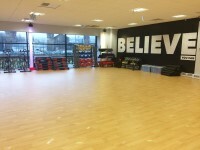 This venue is situated in Burnley. The nearest mainline station is Burnley Central. 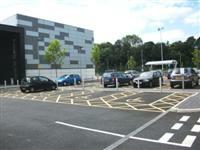 You are on Parking (Visitors Car Park). Skip to the next section. 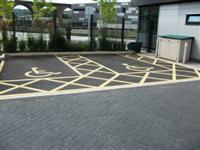 The dimensions of the Blue Badge parking bay(s) are 400cm x 550cm (13ft 1in x 18ft 1in). The nearest Blue Badge bay is 49m (53yd 1ft) from the car park entrance. The furthest Blue Badge bay is 100m (109yd 1ft) from the car park entrance. The ramp/slope is located at the left of the entrance. The step(s) is/are located at the front of the building. 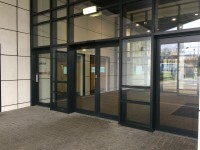 This entrance gives access to level 0 of the building. The desk/counter is 9m (9yd 2ft) from the main entrance. 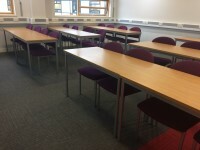 Hearing loops are fitted in all teaching rooms. 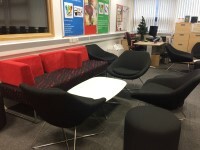 You are on Inside Access (Students' Union Resource Room). Skip to the next section. Music is played in the resource room. 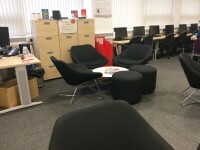 The Students' Union Resource Room is located on level 1 of the building. 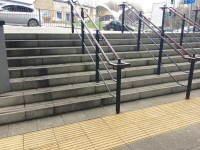 The floors which are accessible by stairs are 0-1-2-3. 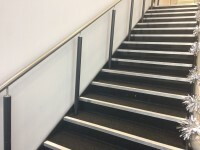 The floors which are accessible by escalator are 0-1. 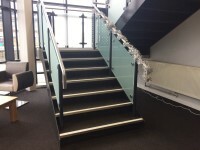 There are several sets of stairs located throughout the building. 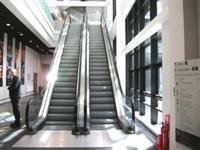 The escalator is located just inside the car park entrance. You are on Lift (Front Lifts). Skip to the next section. 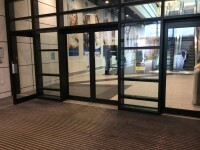 The lift is located in the building's main atrium, just past reception. 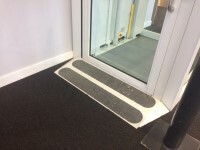 The floors which are accessible by this lift are 0-1-2-3-4. The dimensions of the lift are 130cm x 150cm (4ft 3in x 4ft 11in). These lifts are also 65 metres from the car park entrance. 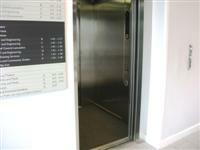 There are similar lifts at the rear of the building, by the car park entrance. These access levels 0-3 only. 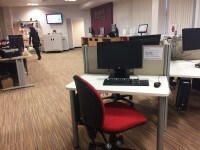 You are on Reception (Library Desk). Skip to the next section. 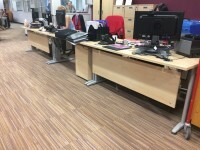 The desk/counter is 20m (21yd 2ft) from the front lifts. 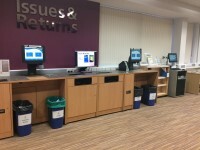 There are also self service issue and return machines available next to the library desk. It takes approximately 7 days to process an order. 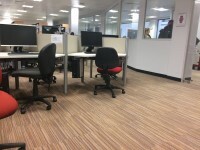 A height adjustable table and height adjustable chair is / are available. 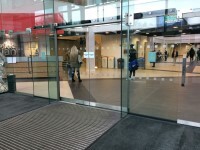 There are security barriers at the library entrance with an opening of 130cm wide. Students requiring assistive software will be provided with a laptop with the relevant software loaded. 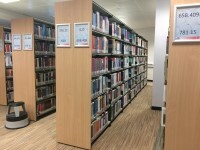 The library is located on level 2 of the building. 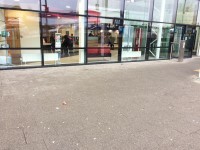 The nearest table is 46m (50yd 11in) from the car park entrance. 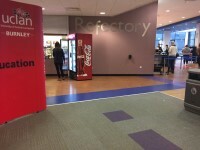 The refectory is located on level 0, just inside the car park entrance. 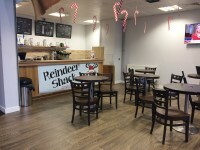 There is also a coffee shop on the first floor of the building. 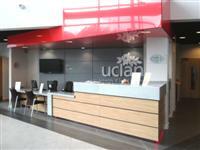 It is used by staff and students of both Burnley College and UCLan. 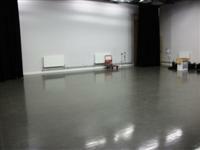 You are on Performance Theatre. Skip to the next section. 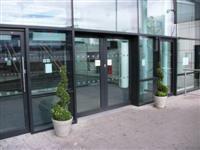 It is 15m (16yd) from the designated seating area to the nearest accessible toilet. 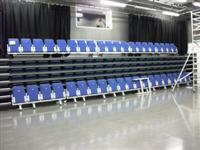 This theatre can be used for performances and events by UCLan and Burnley College staff and students. 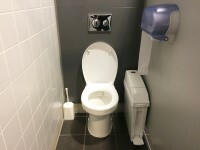 This accessible toilet is approximately 22m (24yd 2in) from the main entrance. 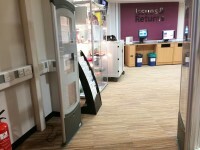 This accessible toilet is located just inside the main corridor, behind reception on the ground floor. There are accessible toilets on floors two and four. The dimensions of the accessible toilet are 132cm x 220cm (4ft 4in x 7ft 3in). 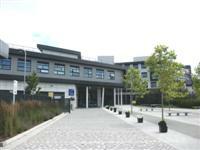 There are male and female standard toilets facilities on the second floor and the fourth floor. 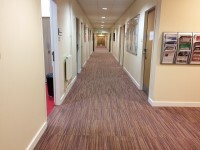 The female and male toilet facilities that were surveyed are located just inside the main corridor on level 1. 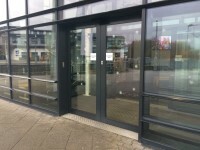 You are on Outside Access (Sports Centre). Skip to the next section. 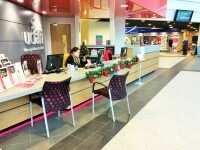 You are on Reception (Sports Centre). Skip to the next section. The desk/counter is 3m (3yd 10in) from the entrance. 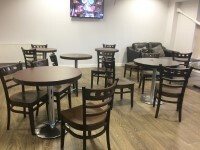 You are on Eating and Drinking (Sports Centre). Skip to the next section. 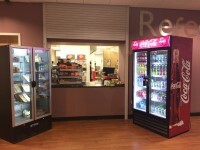 The nearest table is approximately 12m (13yd 4in) from the main entrance. 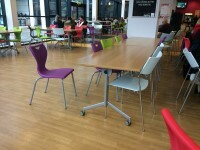 The distance between the floor and the highest table is 45cm (1ft 6in). You are on Accessible Changing Room (Sports Centre). Skip to the next section. 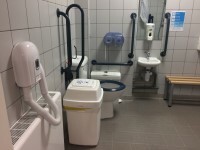 There is not a Changing Places facility available. The accessible changing room(s) surveyed is/are located to the right as you enter. The accessible changing room(s) is/are approximately 18m (19yd 2ft) from the entrance. The accessible changing room(s) is/are approximately 7m (7yd 1ft) from the lift. 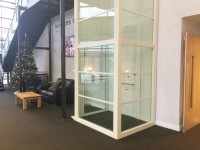 The accessible changing room(s) is/are approximately 9m (9yd 2ft) from the reception desk. 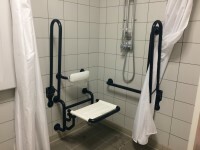 The dimensions of the accessible changing room(s) are 240cm x 244cm (7ft 10in x 8ft). 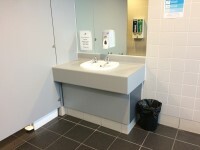 Other fixtures/facilities available include; grab bars on sink and a flip down seat measuring 50cm. You are on Standard Shower (Sports Centre). Skip to the next section. 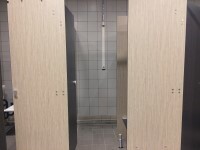 The shower(s) surveyed is/are located within the standard changing room. 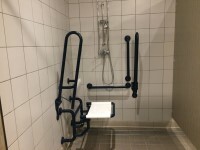 There is an accessible shower located within the standard changing room with an adjustable shower head, flip down seat and drop down rails on both sides. You are on Other Floors (Sports Centre). Skip to the next section. You are on Lift (Sports Centre). Skip to the next section. 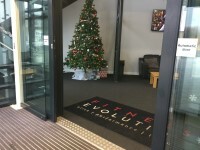 The lift is located in the foyer next to the reception desk. The dimensions of the lift are 110cm x 143cm (3ft 7in x 4ft 8in). 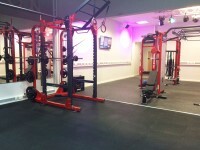 You are on Fitness Suite (Sports Centre). Skip to the next section. 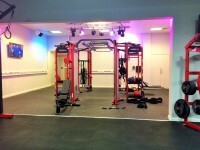 The fitness suite is 8m (8yd 2ft) from the lift. The opening is 90cm (2ft 11in) wide. No staff have received IFI Mark standard Disability Equality Training. Training provided is in house. 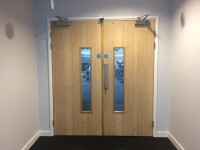 There is one leaf locked on the double doors which can be unlocked to give an opening of 180cm wide. You are on Accessible Toilet (Sports Centre). Skip to the next section. This accessible toilet is located within the accessible changing room. The key can be obtained from staff on reception. The dimensions of the accessible toilet are 246cm x 244cm (8ft 1in x 8ft). There is a/are female sanitary and clinical waste disposal units.